Image Credit: Alona Kraft / Unsplash. This image has been modified. What works better against aphthous ulcers? 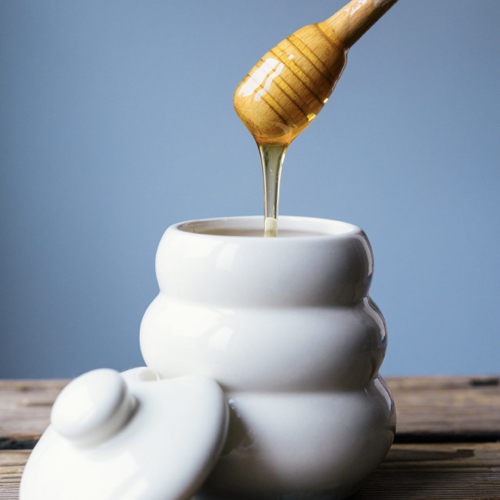 Honey applied with a Q-tip three times a day after meals was compared head-to-head against an over-the-counter soothing pain-relieving paste and a prescription steroid cream. There are two sweeteners that are actually good for you.